https://blog.gembaacademy.com/wp-content/uploads/2018/08/words-have-power-680x450.jpg 680w, https://blog.gembaacademy.com/wp-content/uploads/2018/08/words-have-power.jpg 725w" sizes="(max-width: 300px) 100vw, 300px">When a group of people use jargon, or specialized language to express ideas or concepts, it can make communication more efficient. On the other hand, Jargon can be difficult for people outside of the group understand. People who use jargon may not realize this, or pause to explain the jargon, making people feel ignorant or left out. For this reason many argue against the use of jargon, especially when there is a need to widely involve and engage people. How can we have the best of both worlds? Using jargon, we make our thinking and communication concise. Clarifying their meaning and purpose, we can engage people in these ideas. American anthropologist and psychiatrist Robert Levy specialized in the cross-cultural study of emotions through his fieldwork in Tahiti and Nepal. He added “hypocognition” to the jargon of the study of humans. Humans need words and language in order to frame an idea in a way that leads to persuasive communication and behavior change. In modern behavioral science, hypocognition describes a situation when people in a culture do not have a word or concept for an object, category, or idea. For example, Levy observed that Tahitians lacked the word for “grief” and expressed the feeling of losing a loved one as “strange” or “sick”. Lacking a word that captures the concept of grief, they did not develop many rituals to deal with grief. When humans can’t name the problem, much less define the problem clearly, we struggle to address it. We see this in everyday life. In an example from financial literacy, when we don’t have a concept or word for “compound interest” (as about two-thirds of Americans do not) we fail to avoid debt and put away enough money in savings. When we ignore aches and pains too long because we don’t understand their possibly serious causes, we can let illnesses become more serious before seeing a doctor. We have disagreements with other humans that seem impossible to resolve, because of hypocognition, or failure to recognize the totally different values, opinions or world view of the other side. As much as lean management may seem like “common sense” once a person has learned and practiced it for a while, it is filled with unfamiliar concepts and new words. For example, the concepts of jidoka or autonomation means giving a machine or process the ability to autonomously sense and respond to abnormalities. Heijunka is the averaging of volumes and product mix based on small lot sizes enabled by rapid changeovers so that it is possible to respond to the customer pull, not simply “leveling the load”. Kaizen is a philosophy and method of improvement, with specific assumptions about human ability and dignity. Obeya literally means “big room” but the concept is to manage the core aspects of day-to-day work, a business or a project by placing vital information on the four walls where people can meet to review the status and solve problems. These have survived as borrowed foreign words in the lean lexicon because once it is understood, the new word expresses the new concept better than several English sentences can. The same is true for many concepts within Six Sigma. Humans are in general ignorant of the concepts and words for how variation works. We falsely assigning meaning and cause to random phenomena. We anchor our thinking on ideas, initial observations, available facts. We defend these opinions based on limited data rather than explore reality based on a broader understanding of how sample sizes and the behavior of in-control processes. The proper use of the Six Sigma methodology can counter such biases. How can learning the word and concept of “hypocognition” help us? 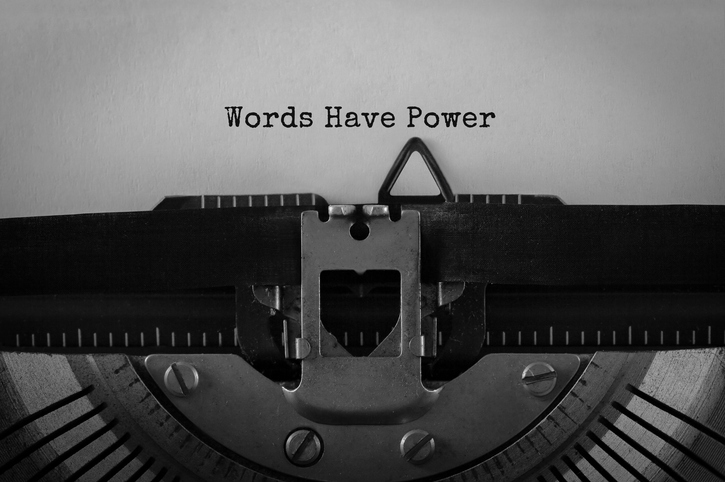 We can begin by accepting that words have power. Clear communication and clear thinking go hand-in-hand. We can identify where we have problems that are in search of a concept and concise word. We can look for concepts that others have used to solve problems nearly identical to ours. We can identify where our current jargon, and the concepts behind them, fail us. Then, we can study the jargon, the underlying ideas, the broader context that gives them meaning. In the context of Lean, this means understanding why machines require the autonomy to detect errors and stop, what is the purpose of producing smaller lots and changing models frequently, why it makes sense to involve people in continuous improvement in the kaizen way, and what is the point of looking at ink and paper on the walls. We may already do these things without knowing the Lean terms. We may even follow the exact lean methods without using the words. The argument in favor of jargon is that it gives us the opportunity to link the word, the concept, the context and the underlying reasoning.